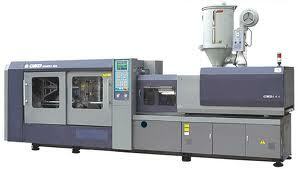 One of the most important pieces of plastic injection molding equipment is the dryer for plastic resin. These dryers are designed to reduce the humidity in the plastic resin before it is processed in the mold. Unless the humidity is controlled the molding process will be disrupted and the quality of the plastic part will always be inferior. The two types of dryers are those for hygroscopic materials and non-hygroscopic materials. The hygroscopic materials absorb moisture on both the surface and interior of the plastic pellet, while the non-hygroscopic pellets only absorb moisture on the surface. Primarily there are two main types of dryers: hot air and desiccant. Over the decades it has become common knowledge that the desiccant type dryer performs best and it has become the industry standard. The desiccant dryer has proven to be the most dependable, economical and effective method of drying plastic pellets for injection molding. A quick look around various custom molding shops will confirm this. Many manufacturers supply high quality dryers and it is sometimes a difficult choice to know which is right for a particular application. As it is with other pieces of molding equipment, price, quality, reliability and user friendliness all enter the buying decision making process. Generally these dryers are used for non-hygroscopic plastic pellets, though they are sometimes used for particular regrind applications as well. As the name implies, the heat lowers the humidity in the surrounding air and the moisture is expelled into the atmosphere. One typical application for hot air dryers is to preheat material. In low humidity areas this type of heater can be a cost effective alternative to desiccant dryers. The lower initial cost and reduced maintenance expense can make it an attractive choice. The twin tower desiccant dryer is a trusted technology that has proven to be quite reliable and effective. Heated air is forced through the plastic pellets, where it picks up humidity. This air is then passed through a desiccant chamber, where the moisture is absorbed. This air is sent back through the plastic , where it picks up more moisture and then passes through the desiccant again. This process continues until the set dew point is reached, at which time the plastic is dry. Once the desiccant has been saturated with moisture, the air is forced into the other twin tower of desiccant and the process continues. The humidity in the first tower is removed by heating the particles to remove moisture and then it is cooled so it is ready to begin the drying process again. The plastic injection molding process requires that the plastic pellet used in the molding process contain a limited amount of moisture to maintain quality standards. The use of hot air and desiccant dryers are the most common methods of drying material, with desiccant being the most common.